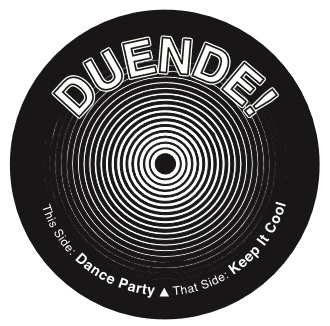 Let’s cut a rug for DUENDE!’s first single on Hold Fast, “Dance Party”. See, before the band was formed, Jeff and Laura became an “item”. Planning one of their first dates, Laura, the lady often referred to as “The Boom”, brought over a set of Motown classics to spin on Jeff’s turntable. The couple danced the night away and the rest, they say, is history. 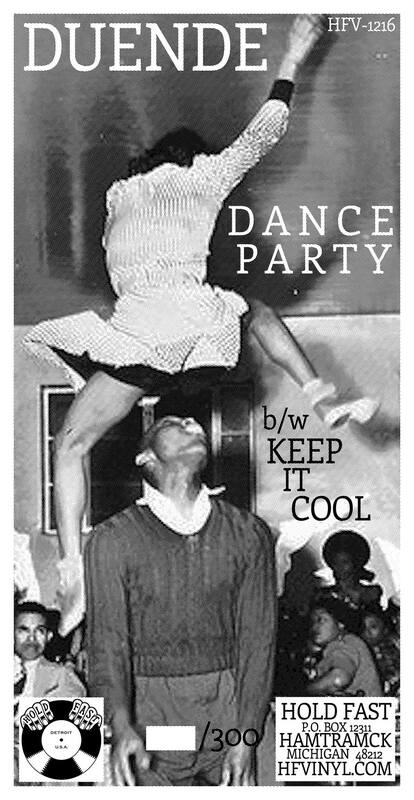 Speaking of history, the cover for “Dance Party” b/w “Keep It Cool” features a great photo from Lindy Hop days of yore. 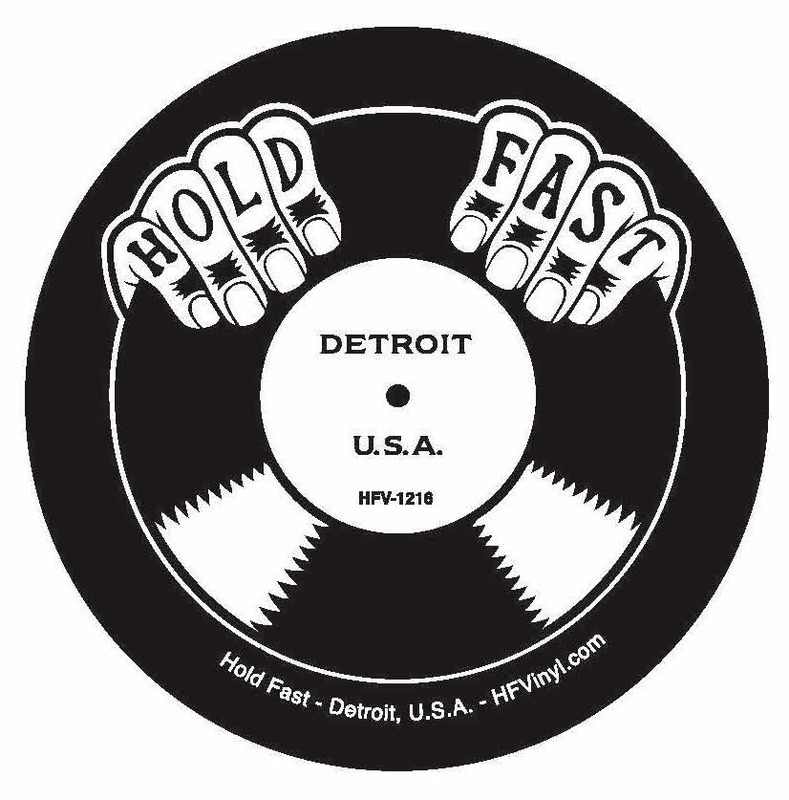 Doing something a little different, but with a handmade feel, Hold Fast is working with the great Detroit printer/musician Scott Boyink of Hype Screen Printing to create something truly memorable – a gatefold 7 inch single giving you the full view of the action shot. Also, get hip with fantastic liner notes by great Detroit music historian & DJ Willy Wilson. So, shine up your shoes, grab your best girl (or guy) as well as this new single from Duende!, and let’s have a “Dance Party”! This release commemorates DUENDE!’s tenth anniversary performing live rock-n-roll to the four points of the compass; the West (Austin), the South (New Orleans), the East (New York City), and the Great White North (Canada) while keeping their footing firmly in Detroit. Over the past decade DUENDE! has steadily morphed into a band built for anything & everything… and some kinda other thing. Sensibilities for stately, suited up country rock got splashed with the tie-dyed hallucinogens of psychedeliaʼs surreal glee, but thatʼs just a coating atop their penchants for Delta and juke-joint blues, theatrical murder-ballad inclined folk and grimy psychobilly. With Duende, you’re at a different kind of Crossroads – playing ring-around-the-rosy with R.L. Burnside, The Cramps, Link Wray, and maybe even Screamin’ Jay Hawkins. And the Devil might be there, too, keeping time with his hoof stomps. Zesty, no? Just wait, their next jam might be some classical clang or soulful garage rock anthem. “Dance Party” was one of the first songs written by the band and has been a staple of the live set over their decade reign on the killing floor. Originally recorded in basement sessions, released CD only in 2007, you’ve never heard it until now on this limited vinyl only release. The band re-recorded the track along with its exclusive B-Side, “Keep It Cool”, in January 2016 with legendary sound engineer Jim Diamond at The Tempermill in Ferndale, MI – base of operations for DUENDE!’s last five recordings. 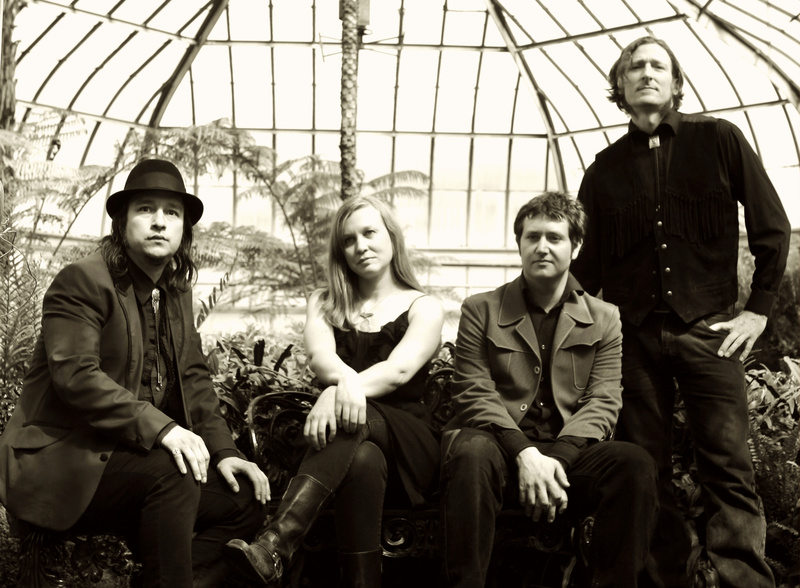 While their sound has been compared to a range of greats – the Velvet Underground to Dream Syndicate, Sebadoh to the Flamin’ Groovies, Radiohead and beyond – DUENDE! has always done it on their own terms with a muscular sound that continues the best of what Detroit was and is today! “Dance Party” is available in a special hand-number edition totaling only 300 pieces in this first pressing. New sounds from Detroit’s Duende! to get your feet moving and your turntable grooving. Limited to 300 hand-numbered editions. Featuring beautiful black & white gatefold cover printed and designed by Hype Screen Printing. Liner notes by noted Detroit music writer/DJ (CJAM, WDET) Willy Wilson.